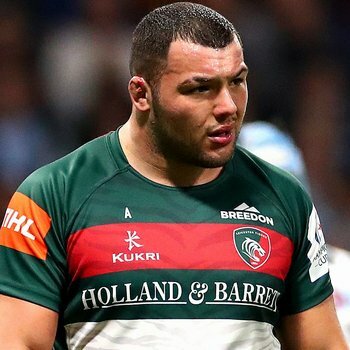 Leicester Tigers prop Ellis Genge admitted to being embarrassed following the 14-point loss to Northampton Saints in front of more than 23,000 fans at Welford Road. Genge and George Ford finished equal atop the LeoVegas Fans' Favourite voting on the Tigers App for their performance in the Premiership showdown with Saints, which the front-rower was grateful to receive from those who voted but admitted to being 'embarrassed' to be handed the award following the match. Speaking to LTTV post-match, Genge said: "I was quite embarrassed to receive it." "Obviously I appreciate the support from the fans - thank you very much." In analysing the match, the 24-year-old summed up the defeat by saying the Tigers squad were 'second best' across the park in all areas. "We were second best to everything and I mean everything ... Saints were class today, so fair play to them," said Genge. When asked what he put the defeat and poor performance down to, Genge didn't mince his words. "I don't know, but when I do I'll let everyone else know ... one thing I'll assure you is that the boys won't shy away from what's in front of us," he said. "I appreciate all the frustrations ... the boys are hurting just as much as everybody else." The England international also didn't shy away from accepting the blame as part of a playing group who needed to "sort this out". "It's down to us, we can't point the fingers at the coaches and staff ... as a playing group we're going to come together and try and sort this out," a visibly disappointed Genge told LTTV. Watch the full interview with Ellis Genge below on LTTV.